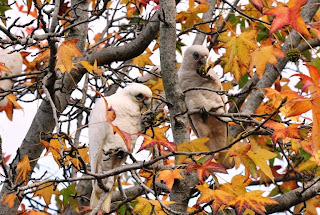 World Bird Wednesday - Little Corellas. 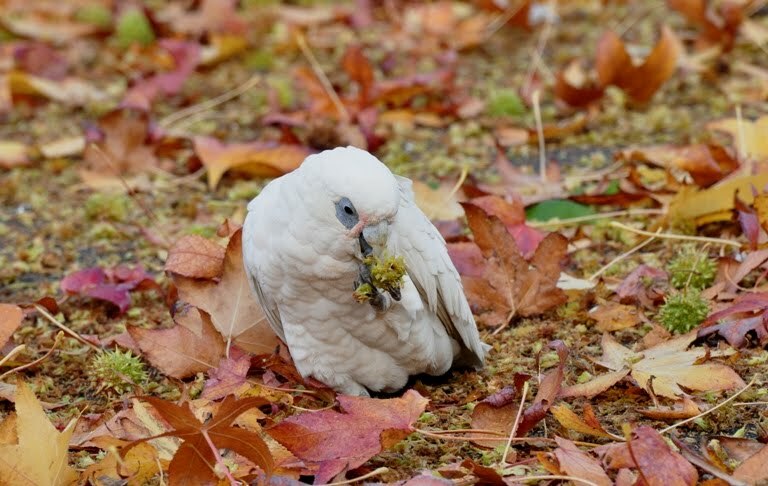 I was on my way to work on Friday when I found this flock of Little Corellas feasting on the seed pods of some Liquid Amber trees. I was only five minutes from home, so I went back to get the camera – ah the joys of flexi-time! 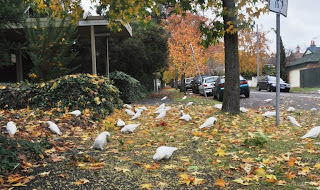 The birds were utterly confident that they were in change and on one occasion I had to shoo them out of the way of a passing car. 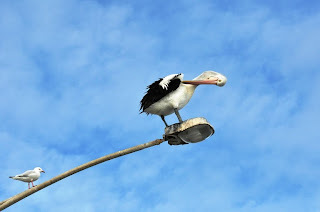 These are rather talkative birds, and at times the place was very noisy. 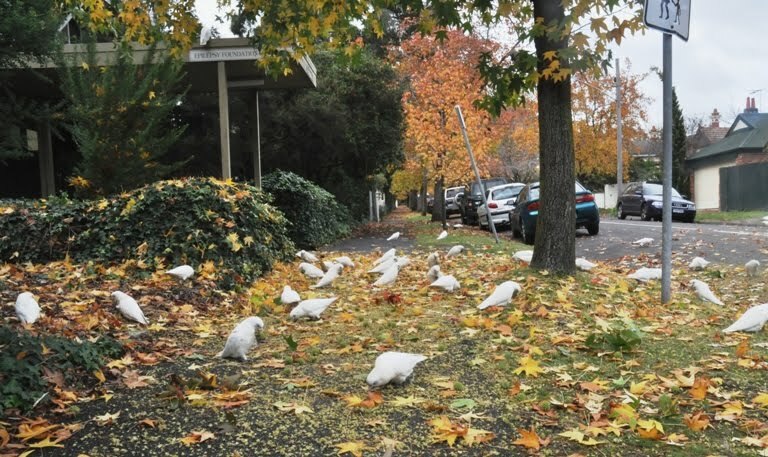 This is the first time I’ve seen flocks of corellas on the ground in Melbourne, although I have been seeing and hearing them overhead for a number of weeks. 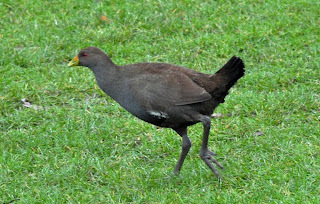 In the past these birds were only really common in the west of the state, but they seem to have moved. I have to wonder if it’s a result of either the drought or the fact that the drought is over? You can find more world birds here, and you can see the latest post on my other blog by clicking the Paying Ready Attention link on the RHS of the page. 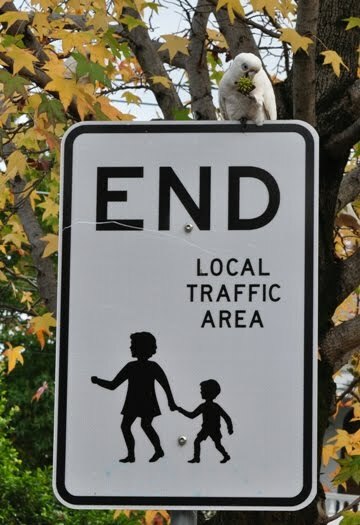 Enjoy the birds. My World Tuesday - Brisbane. I spent most of last week in Brisbane, or more accurately in hotel rooms in Brisbane. I managed to escape once just as the sun was setting. 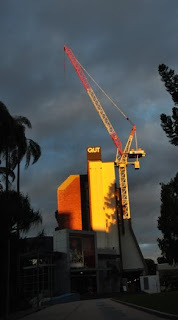 The sun was shining through a thin gap in the clouds – a letterbox really. It was about the only sun I saw during the week (until of course I was on the plane going home! ), but the combination of low angle sun, grey rain filled sky and the geometric shape of this building seemed too good to miss. 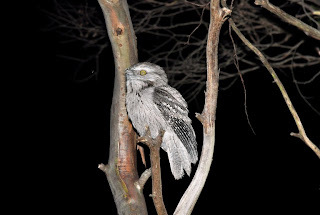 World Bird Wednesday - Tawny Frogmouth. I was coming home a last weekend just as it was getting dark. 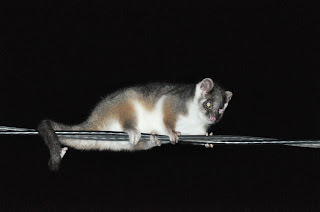 As I got out of the car I could hear possums squabbling in a large gum trees so I went to have a look. As I approached a large bird few from the tree. 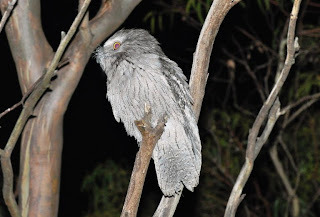 My first reaction was “owl”, but it when I had a better look it turned into a Tawny Frogmouth. Luckily it was still there when I came back with the camera. It’s a common mistake to think these birds are some form of owl, but they are more closely related to Nightjars. As their name suggest they have huge gapping mouths and are nocturnal hunters. 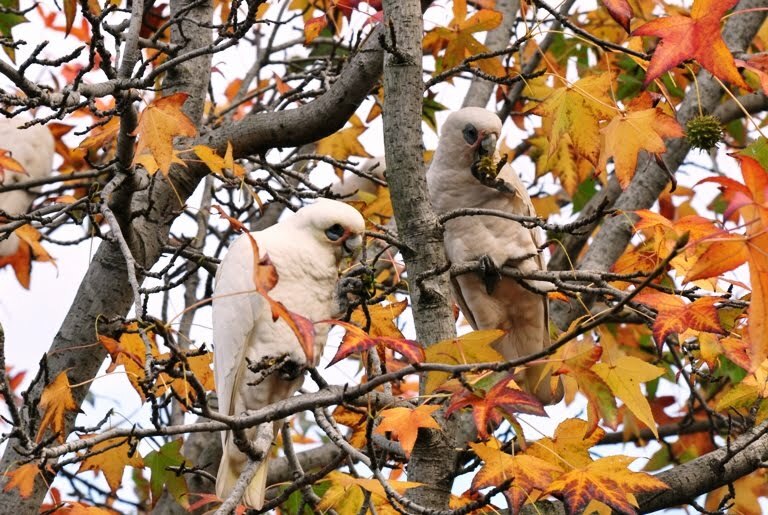 By day they sit upright in trees, relying on their camouflage. Seen in most lights during the day (and they are hard to find) they really do look like broken off branches. Luckily this one gave the game away by flying. I’ve removed the “red-eye” caused by the flash, but the eyes should be orange! 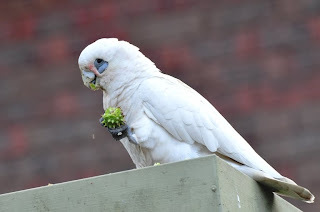 You can find more world birds here, and you can see the latest post on my other blog by clicking the Paying Ready Attention link on the RHS of the page. 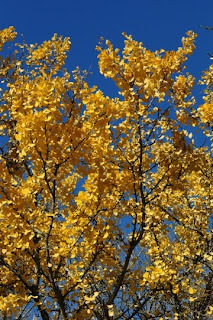 It was a wonderful autumn day on Saturday - hardly a breath of wind and a crystal clear, blue sky. I went for a walk around the block and found this Ginko tree. 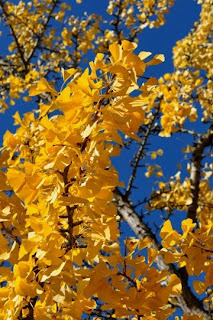 For the technically minded it’s a Ginko biloba or a Maidenhair Tree. What I thought it was spectacular! 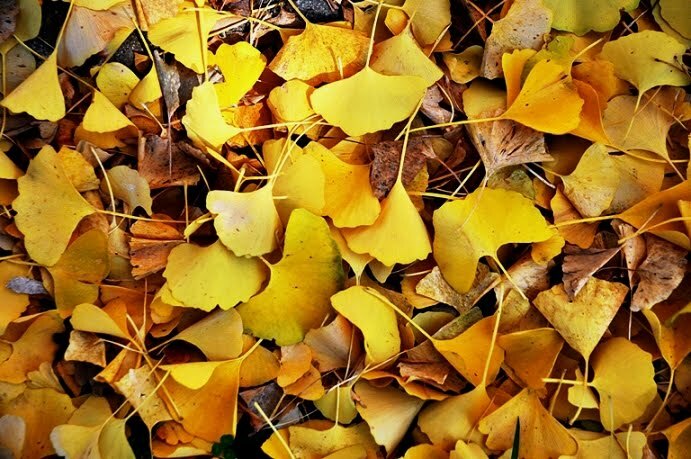 I’d seen these orange yellow leaves before, but never in such bright light. I’m glad I took the pictures because today, on the way to work, I walked past the same tree. 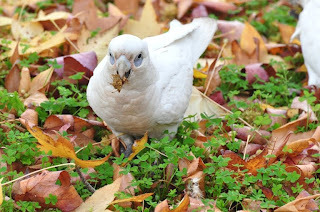 Almost all of the leaves had gone, blown away by a Sunday storm. 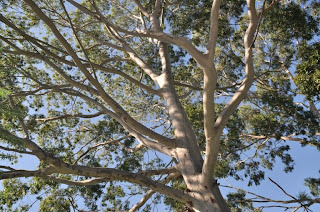 I really can’t image what a landscape dominated by this tree would be like – bright I would imagine! I've been doing some work this week with ideas about photosynthesis, and I have been struck by the idea that plants - or trees in this case - are just solid sky. Most of the new material that forms growing trees comes from carbon dioxide in the air, so a plant becomes solid air. That made me think about the link between the sky and trees. I found one photograph from a month or so back that seemed to express that idea, but I also managed to take some on the walk home from work. 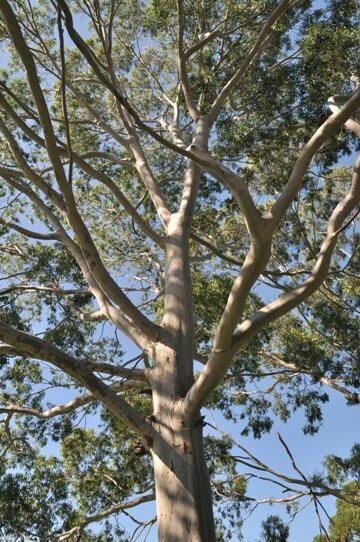 The first picture is of Mountain Ash - these can grow to be the tallest flowering plants in the world. 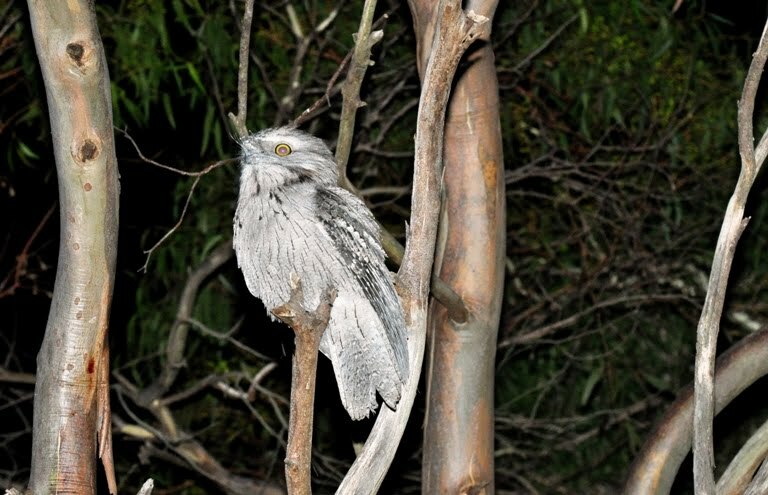 The next images are of an Angaphora species - its growing on a railway cutting near my office! So here they are "The sky made solid". Tell me what you think! 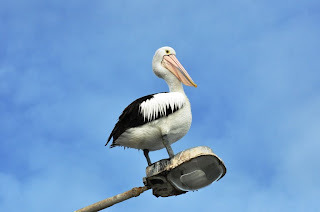 World Bird Wednesday - Australian Pelican. 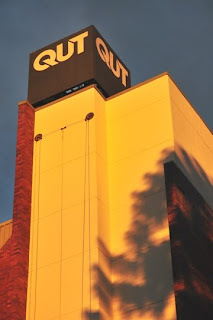 Last weekend I took a trip down to Queenscliff - that's a couple of hours west of Melbourne. Its an old fishing town that now earns its living mostly through tourism - which must be a familiar tale around the world. 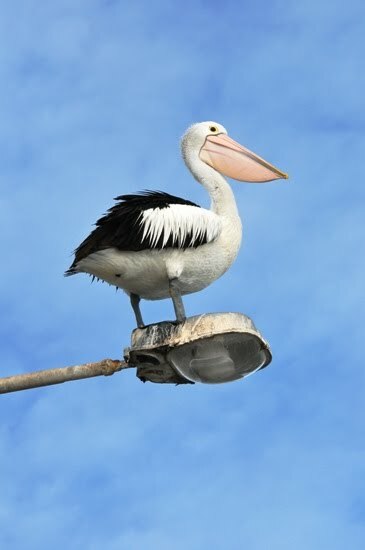 There is a boat ramp just out of town, and at the top of the ramp is a light pole, and at the top of the light pole was a pelican. 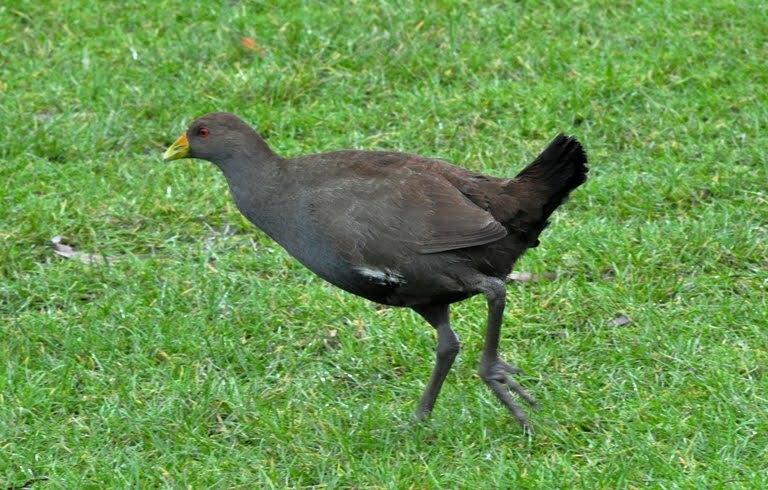 I'd seen this bird - or at least one that look like this one! - there before, but this is the first time I managed to get any decent pictures. 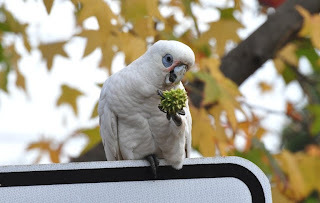 My world Tuesday – Marsupials. 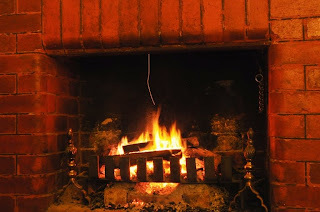 Many of the photographs I have added to this blog could have been taken anywhere – but not these. These are all images of marsupials – and as people probably know Australia is marsupial central. So here are some images. First are two images of Tasmanian Devils, sadly these were taken at a wildlife sanctuary because they are becoming increasingly rare in the wild. A form of cancer is killing the animal in the wild, and there is a good chance that it will become extinct. If that happens we will have lost the world’s largest remaining marsupial carnivore. Next we have a Common Wombat – these are common in some places, and in national parks can be a bit of a pain if you are camping – not as painful as a bear, but they still steal your food! Wombats are the largest hole dwelling herbivores in the world! The animal on the wire is a Ringtail Possum. This is a common urban animal, and we it decides to live in your roof it becomes the world’s most annoying animal, and can make more noise than you would have thought possible. Last but by no means least we have some Kangaroos – these are Eastern Grey Kangaroos feeding on a sports oval in The Grampians. 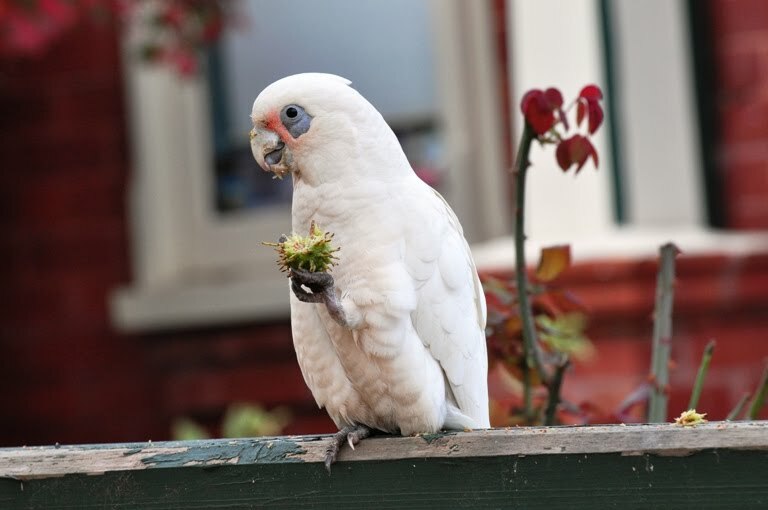 Up to 35 of these animals gather there to feed in the evenings and generally put on a good show for the tourists! These pictures were taken from the top of the Rialto Towers in Melbourne - which at the time of its building was the 2nd highest building outside of the US. I think this is a claim to fame that it has since lost! What I like about these pictures is the way in which the sky blends with the building. I also like the way I keep finding extra sets of reflections in the pictures that I had not noticed before. 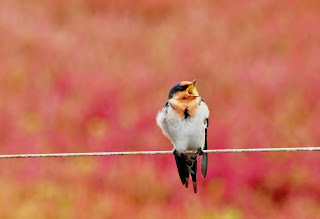 World Bird Wednesday - Welcome Swallows. This type of swallow is the commonest type of swallow in Australia – it’s a Welcome Swallow (Hirundo neoxena). 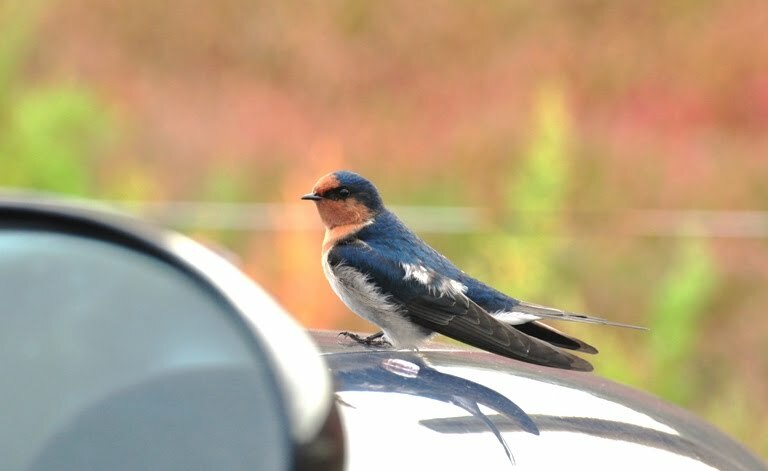 If you live in the Northern Hemisphere you will probably be familiar with the Barn Swallow (H. rustica). The Welcome Swallow lacks the black chest bar of the Bar Swallow, and the underparts are less white – but they behave in very similar ways. 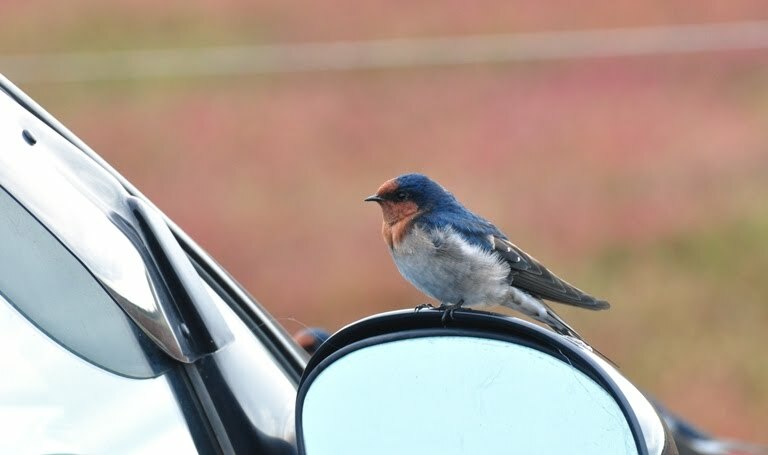 At about Easter each year I often see large flocks of Welcome’s down by Swan Bay Jetty car park – and they seem to like sitting on the wing mirrors of cars! The red in the back ground of the first image is caused by a dense growth of plants in a salt marsh area behind the car park – most of these plants have set seed and have red seed spikes. 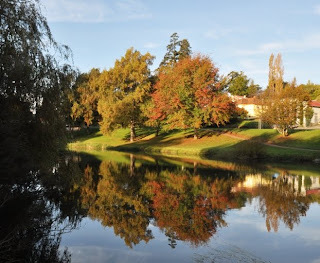 My World Tuesday - Autumn. The evenings have drawn in, there is a chill in the air and there has even been the first dust on snow on the mountains. 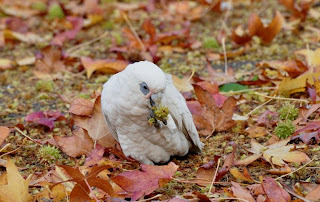 Its autumn. 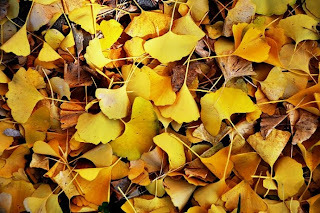 So, here are three autumnal images. 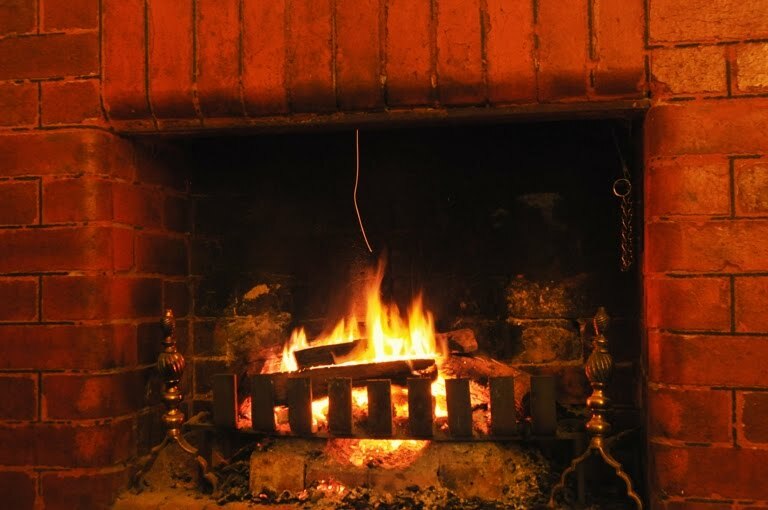 The first is a classic set of colours, the second speaks for itself and the third is a real bonus to the colder weather - you can light a fire and settle down for the evening in the kind of w armth that only a real fire brings. 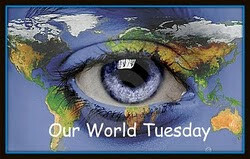 You can find more images of great places here or you can click on the My World Tuesday link on the RHS of the screen. 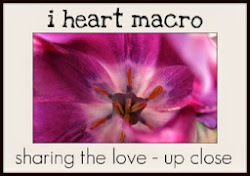 You can also see at my most recent posts on my other blog by clicking on the "Paying Ready Attention" Link on the RHS of the screen. 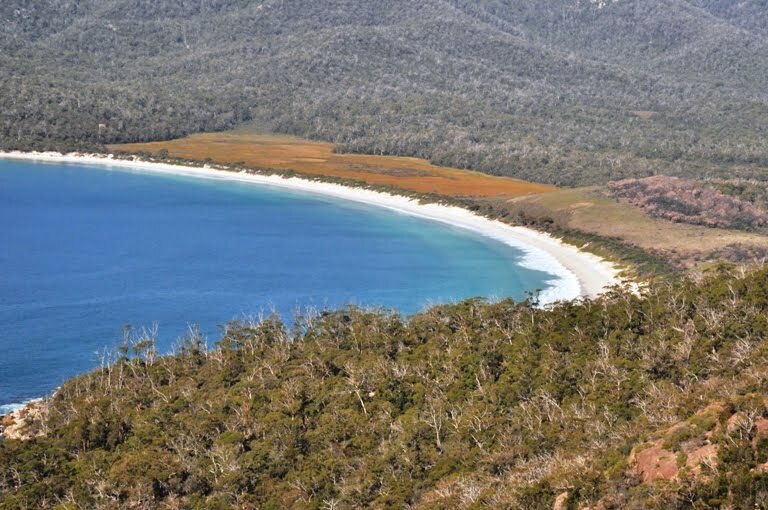 I was sorting through some images from Tasmania and came across this nice contrast. One of these pictures is of a hole in a cloud, while the other is an image of the whole of a cloud. The hole in the cloud let me see the first blue sky for I had seen for a few days and the whole cloud was changing the light on the surface of the sea in an interesting way. You will be able to find more clouds, or more accurately skies, at Friday Skies and you can see the original post featuring the hole in the sky here, or by clicking the Paying Ready Attention link on the RHS of the page. 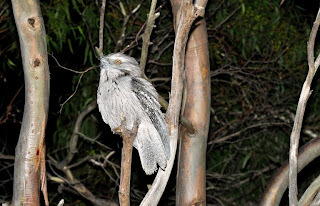 World Bird Wednesday - Three Tasmanians. 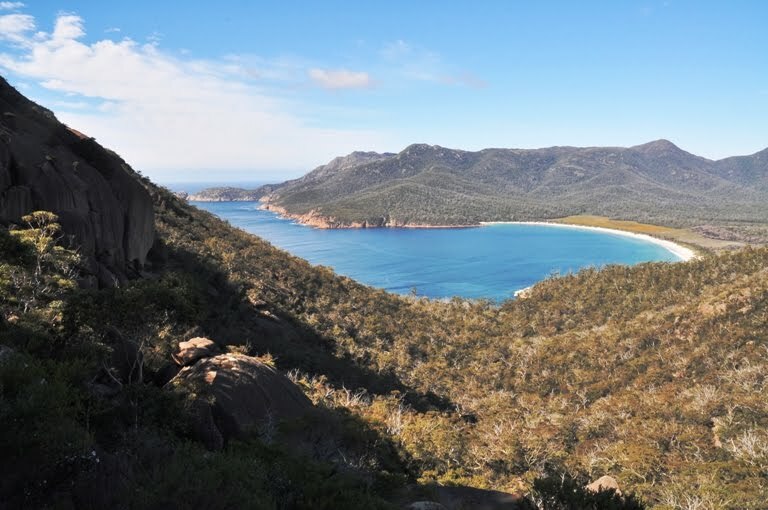 The Cape Barren occurs in two areas – one the south eastern part of Australia and a second isolated population in Western Australia. They are much less common than they once were, possibly due to the fact that they are large enough to feed a family! My World Tuesday – More Tasmanian Sunshine. 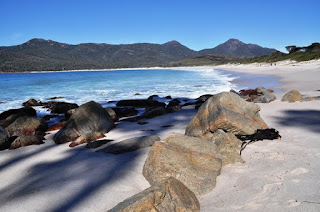 One of the reasons many people come to Freycinet is to see something that is often out of side. On the other side of the Hazards is a perfect sweep of beach called Wine Glass Bay. 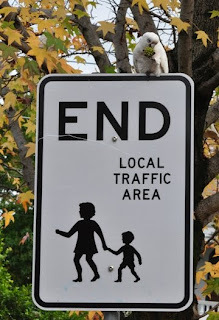 Many people get no further than a lookout point half way to beach, and some don’t get that far! The walk back up from the beach is steep, and I was pleased to see how well my kids did on it. They put more than a few “grown-ups” to shame! Anyway, the walk both ways is good and the beach is even better – as you may see.